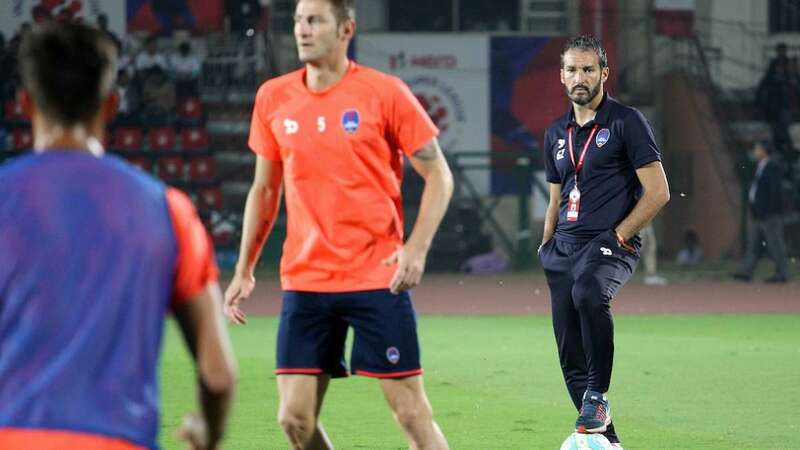 New Delhi : Despite a first-leg deficit, Delhi Dynamos will have a spring in their step as they take on Kerala Blasters in the return semi-final fixture of Hero Indian Super League at Jawaharlal Nehru Stadium, Delhi, on Wednesday. Delhi Dynamos lost the first-leg semi-final 0-1 away in Kochi but as the teams lock horns again, Delhi will have enough reasons to believe they can overturn the deficit and make it to their first-ever final. What will give Delhi confidence is their encouraging home record as they are the only team not to lose at home and have scored 18 goals at home, the most by any team in ISL this season. “When we play at home, it is an advantage for us. To play in front of our fans is an advantage, and we are fortunate to have the second match at home and it is a good opportunity for us. I hope we are able to utilise this opportunity,” said Delhi Dynamos coach Gianluca Zambrotta. Delhi were disappointing in their away clash as they failed to trouble Kerala defence with strikers like Marcelinho Pereira and Richard Gadze having little impact on the game. Even marquee player Florent Malouda was found wanting but as they return home, all of them can be expected to find form if they are to avoid another disappointment like last season when they lost against FC Goa in semi-finals. Interestingly, Delhi have scored just one goal in three ISL knockout matches. Kerala Blasters need only a draw to qualify for their second final in three years. They will be keen to overcome Delhi or at least hold them as they will then return to Kochi for the grand finale. What will be of huge concern for coach Steve Coppell is their unimpressive away record. They have conceded 11 goals away from home this season, the most among four semi-finalists, and managed to score just four goals away from home, the fewest by any team. “We will just go out and play and I don’t think you can set out and decide that we will defend or counter-attack and the game has an ebb and flow to it. But at home knowing that they have to score goals and beat us, so they might have more urgency in their play and we might be pressurised a little bit more and there is no way we will go there thinking we are 1-0 ahead. We will defend it but we will just go there and play and see what happens,” said coach Steve Coppell. Kerala Blasters are the only away team which failed to score in Delhi this season. Besides, they are on a four-match winless run away from home. Even if they fail to score again and fail to win, it will be fine with Coppell. All that his team needs to do is ensure Delhi Dynamos do not win to return to Kochi for one final battle.